You have likely heard or read multiple reports about drug recalls issued over the past several months. 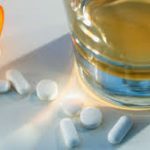 This post is intended to help educate about what prompts the recall of a drug, advise you on how to learn if your medication(s) may be potentially affected by a recall, and the steps to take (and not take!) when learning of a recall. What prompts a drug recall? First, it is important to understand that in order for a medication to be approved by the Food and Drug Administration (FDA), it must undergo a rigorous process of multiple trials to prove efficacy and safety in the patients who may potentially use it. This process takes years, beginning from the time that researchers initiate experiments on a newly-discovered agent that may have potential for patient use, all the way to the time an FDA-approved agent becomes available to be prescribed for patient use. Tests indicate that certain lot(s) of a medication do not meet standards. Even after a medication has been packaged and shipped to pharmacies for patient use, drug companies continue to perform tests on these medications to ensure high quality and safety. Occasionally that company may find that certain lots of the medication fall short of meeting these standards; most commonly due to the rate and extent that the medication dissolves and distributes itself in the body, which may in turn affect how effective the medication is when taken. Impurities found in certain lot(s) of a medication. 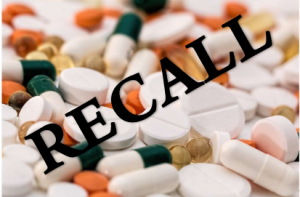 Through similar tests performed to ensure high quality of a drug, if the company discovers the presence of a contaminant or object that does not belong in that medication, a recall may be issued. Increase in reports of side effects. One of the most important aspects of having a professional relationship with your pharmacist is knowing that you can always speak to him/her about concerns you have regarding your medications. Sometimes after experiencing a change in medication, a change in dose, or even when continuing to take a medication that you are already established on, you may notice a potential side effect or just not feeling as well as you usually do. If this occurs, I always recommend speaking with your pharmacist or physician regarding this. In some cases, it may be a side effect that is common with use of that medication. Other times, it may not be documented as a common side effect, but nonetheless important to note. Your physician or pharmacist may even report the concern to the FDA or the manufacturer of the medication. Patients can also report side effects to the FDA at 1-800-FDA-1088. If enough reports are submitted regarding a medication, a recall may be issued to review the drug to reassess its role in patient care. Are my medications affected by this recall? Gather all of your medications to have in front of you. 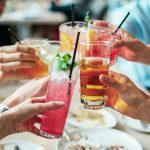 Many medications have similar names or may be part of a combination product, including various blood pressure medications that combine two agents (e.g. losartan-hydrochlorothiazide). 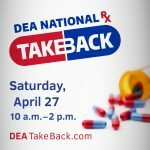 Call your pharmacist!!! Your pharmacist has access to updated information regarding drug recalls and should be able to tell you if the medication you are taking is potentially affected by the recall. IF your pharmacist informs you that your medication may be affected, ask your pharmacist to contact your physician to discuss the options to minimize disruption to your therapy. 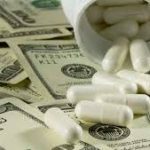 For example, your pharmacist may believe that it would be in your best interest to suggest an alternative drug to your physician, based upon the potential for the original medication not being readily available for the foreseeable future. Do not stop taking your medications without first discussing it with your pharmacist or physician. The majority of drug recalls are relatively minor and may not even apply to the medications you are taking. Abruptly discontinuing some prescription medications can increase the risk for complications in the patient. Hopefully this post provides you with some clarity regarding drug recalls. 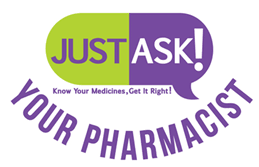 As always, if you have any questions regarding this or other medication-related concerns, contact your pharmacist, leave a comment/question, or contact Betty at BetterMyMeds.com! Thank you very much, and thank you for commenting, Kristi!